PayUbiz is a payment gateway provider in India which enables businesses to accept and manage payments online. 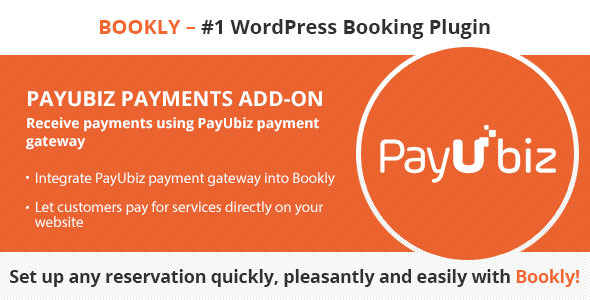 Integrate the PayUbiz payments add-on into your Bookly booking form and let your customers pay instantly for booked appointments directly on your website. Easily set up and use the Bookly PayUbiz add-on with our detailed documentation.